SwedBio has a “Collaborative Programme” and can support a limited number of strategic initiatives in developing countries. Through the Collaborative Programme SwedBio contributes to organisations in low income countries and least developed countries. SwedBio supports strategic initiatives of relevance for SwedBio’s objectives. Through collaboration with the partner organisations joint learning is generated that can contribute to the policy work SwedBio does in its knowledge interface role. Short-term partners are in the list below and our long-term partners receiving support from the Collaborative Programme are listed in the section that follows. In order to receive support and establish a collaboration, please read through the criteria for support and the and the guidelines for submission of proposals prior to contacting us for further details. DHAN Foundation: Advancing Agricultural Biodiversity Community (ABC). Project title: ‘Advancing Agricultural Biodiversity Community’. Conseil National de Concertation et de Cooperation des Ruraux (CNCR). Project title: ‘Mapping Territorial Markets: A participatory approach to data collection’. Inter Mountain Peoples Education and Culture in Thailand Association (IMPECT). Project title: ‘International Exchange for Mobalization of Indigenous and Local Knowledge for Community and Ecosystem Wellbeing’. Indigenous peoples’ and community conserved territories and areas (ICCA Consortium). Project title: ‘Advancing community conservation via self-organisation and enhanced communication for advocacy’. Blue Ventures. Project title: ‘Inspiring Locally-Led Marine Management in Timor-Leste’. 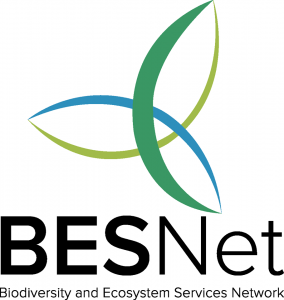 The African Biodiversity Network (ABN) is a regional network of organisations seeking African solutions to the ecological and socio-economic challenges that face the continent. The ABN was first conceived in 1996 in response to growing concern in the region over threats to biodiversity in Africa and the need to develop strong African positions and legal instruments at the national, regional and international level. Currently, ABN has 36 partners drawn from 12 African countries: Benin, Botswana, Ethiopia, Ghana, Kenya, Mozambique, South Africa, Tanzania, Togo, Uganda, Zambia and Zimbabwe. ABN strives to nurture a growing network of change agents with committed work at all levels, in the face of injustices and destruction arising from what they see as an unsustainable development model, to enable resilient local communities to govern their lives and livelihoods rooted in their own social, cultural and ecological diversity. The ABN focus on indigenous knowledge, ecological agriculture and biodiversity related rights, policy and legislation, and pioneer culturally-centred approaches to solutions of social and ecological problems in Africa through sharing experiences, co-developing methodologies and creating what they call a genuine African voice in the countries and the continent on these issues. 1) Community seed governance for improved livelihood and food sovereignty in the partner organizations and further in the countries and the continent. 4) To strengthen and deepen a broad based, active and informed regional network engaged in collective and joint efforts for increased biodiversity conservation, ecosystem resilience and livelihood improvement in Africa. Launched in 2011, the Alliance for Food Sovereignty in Africa (AFSA) is a broad alliance of civil society actors who promote food sovereignty and agroecology in Africa. These include African food producer networks, African NGO networks, indigenous people’s organizations, faith based organizations, women and youth groups, consumer movements, and international organizations that support the stance of AFSA. AFSA members represent smallholder farmers, fisherfolk, pastoralists, hunter/gatherers, indigenous peoples, faith-based institutions, and consumers across Africa. It is a network of networks, currently with 30 active members in more than 50 African countries. AFSA aim to address multiple problems that Africa faces related to agriculture and food including hunger and malnutrition; environmental degradation, pollution and loss of agricultural biodiversity and policies and laws that marginalize small farmers, their practices and rights through a shift towards diversified agroecological systems. Our collaboration: The SwedBio funded project aims to support practical agroecology work on the ground, and to use this experience and learning to build the momentum of the agroecology movement and inform plans to mainstream agroecology in key African strategies. As part of the project, more than 100 individuals from across Africa have been trained in biofertiliser production and use. AFSA also work to build the momentum of the agroecology movement in Africa through annual continental meetings of African civil society representatives, farmers, pastoralists, fisherfolk, activists, consumers etc. The meetings will enable these key actors to share experiences and learning from practice including the on-the-ground initiatives above, develop and refine strategies, and strengthen the bonds between the networks of organizations who make up the growing movement for the transition to agroecology as the sustainable and climate resilient future of farming in Africa. Conservation International is an international non-governmental organisation that focuses on protecting the most fundamental things that nature provides to all of humans: food, fresh water, livelihoods and a stable climate. Building upon a foundation of science, partnership and field demonstration, Conservation International empowers societies to responsibly and sustainably care for nature for the well-being of humanity. Our collaboration: SwedBio is supporting the Conservation International-Costa Rica office to develop policy exchanges between Costa Rica and a range of other countries that are interested in implementing their own Payment for Ecosystem Services (PES) schemes. The project undertakes follow up and planning after the exchanges to ensure continued momentum by hosting national roundtable discussions and planning meetings. The project also looks to establish a standardised south-south policy exchange model and to provide ready resources including best practices around biodiversity financing, biodiversity safeguards, and the participation of indigenous and local communities. The Environmental Management and Economic Development Organization (EMEDO) is a public interest organization based in Mwanza, Tanzania. EMEDO hosts the secretariat of the African Network of Women Fish Processors and Traders (AWFISHNET), and thus act as project holder for this collaboration. 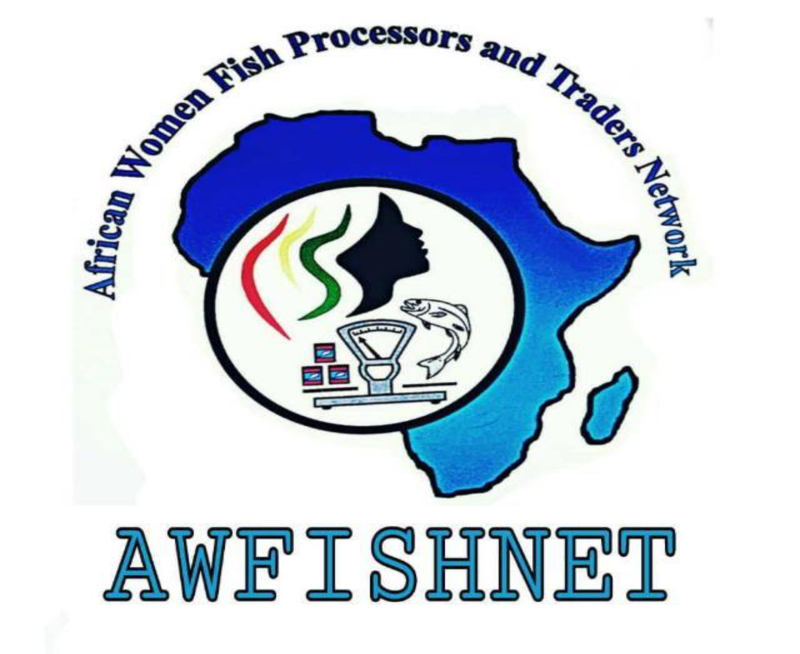 AWFISHNET is a nascent continental network of women fish workers that operates as a non-profit, non-political and non-religious organization, formed in April 2017. The network is composed of 28 national-level members from across Africa. Those members are the national women fish workers’ associations in the respective countries. In some of the member countries this type of organization does not exist yet, or is not well organised, and one of the objectives of AWFISHNET is to facilitate the process of formation or strengthening of such organizations. Our collaboration: This project envisages to support building a gender-fair society and a gender-responsive fishery in Africa that recognize, utilize and enhance women’s potentials and capabilities in the fisheries sector for sustainable and equitable development. It will also contribute to enhance knowledge generation and dialogue between policy makers, civil society and scientists in order to develop fisheries and ocean policies that better account for the realities of marginalized coastal people living in poverty, and to help bridge between policy formulation and implementation. The project will specifically strengthen the organizational capacities of women fish workers organizations (national associations) where they already exist, and establish new ones where they do not yet exist. it will also strengthen the internal, institutional and organizational capacities of AWFISHNET and its members for effective engagement in policy processes and methods which contribute to environmental sustainability, poverty alleviation, food security, equity and sustainable livelihoods. The Forest Peoples Programme (FPP), is an international NGO that works to support the rights of peoples who live in the forests and depend on them for their livelihood. FPP partners with about 60 indigenous peoples’ organisations, community groups, NGOs and networks to assist forest peoples in Asia, Africa and Central/South America to secure their rights, develop their own organisations and negotiate with governments and companies to determine how economic development and conservation are best achieved on their lands. FPP is actively involved in several core international processes related to biodiversity, climate and indigenous peoples and human rights, such as the CBD, the IPBES, the SDGs and the IPCC and UNFCCC. Our collaboration: SwedBio and the Forest Peoples Programme (FPP) have collaborated for more than a decade strengthening local to global actions together with local partners and networks to enable and support strong and resilient communities having the capacity and ability to sustainably govern and use lands and resources. The ongoing programme partnership between FPP and SwedBio consists of two (inter-linked) components: one supporting long-term work on customary sustainable use of biodiversity and ecosystems, including community-based governance, management, use and protection of lands and resources based on self-determination and traditional knowledge; the other facilitating and supporting Indigenous Peoples and Local Communities’ capacities and effective, coordinated engagement and input in diverse knowledge platforms at multiple levels. ICLEI is the world’s leading association of cities and local governments dedicated to sustainable development. ICLEI promotes local action for global sustainability, supporting cities to become sustainable, resilient, resource-efficient, biodiverse, and low-carbon. ICLEI’s Cities Biodiversity Center, located in South Africa, offers cities a broad portfolio of supportive services, including: capacity development and up-skilling, technical advice, advocacy support, networking forums, profiling of achievements and conference organisation. The International Collective in Support of Fishworkers (ICSF) is a non-profit international NGO which originates back in 1986. Within the framework of a human rights-based approach, the ICSF emerged in response to the demands of fishworker organisations in developing countries to have a support organization at the international level to defend their artisanal fishing areas and their right to life and livelihood. 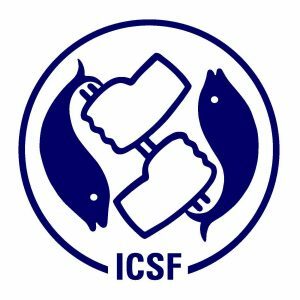 Founded in India and presently registered in Geneva and India (ICSF Trust), the ICSF has been working for more than 30 years to influence several international instruments in fisheries from the perspective of equitable, sustainable and gender-just fisheries. Our collaboration: The ICSF works towards the establishment of equitable, gender-just, self-reliant and sustainable fisheries, particularly in the small-scale, artisanal sector. The ICSF’s overall aim is to promote sustainable, responsible, equitable and “gender-just” small-scale fisheries, in the context of the SSF Guidelines and other relevant processes, such as Agenda 2030. This aim focuses particularly on poverty eradication and food security of the vulnerable and marginalized groups in the Global South. SwedBios support is directed towards ICSF´s communication work, such as the ICSF website, publication of SAMUDRA Report, the Yemaya newsletter on gender and fisheries, SAMUDRA News alerts all week days and other international news of relevance to small-scale fisheries actors. Innovation, environnement, développement en Afrique (IED Afrique) is an independent non-profit organization based in Senegal. It has since 2005 taken over the Sahel Program of the International Institute for Environment and Development (IIED), which was set up in 1993, and continues and reinforces its achievements. IED Afrique promotes innovation, participation, social inclusion, sharing and exchange of experiences through learning, action research, networking and dissemination of information. IED Afrique accompanies CBOs, NGOs, and local and national governments in strengthening participatory governance to promote sustainable development. The mission of IED Afrique is to contribute to the achievement of equitable and sustainable development through the promotion of inclusive and innovative policies and practices. Our collaboration: SwedBio’s and IED Afriques collaboration concerns the AgriCultures Network, a global network which strive to mainstream the values, principles and practices that underlie agroecology and family farming. The AgriCultures Network facilitate co-creation of knowledge at community level as well as between farmer organisations, researchers, academia, policy makers and civil society actors. They also support the systematisation of practical experiences and promote policies that are supportive of agroecology rooted in family farming. The network produce regional and global magazines on sustainable farming, reaching about a million readers globally. See the global edition “Farming Matters”. IED Afrique in Senegal hosts the secretariat of the network and is project holder for the SwedBio supported project “Scaling-up agroecology” which aim to empower family farmers’ movements and other civil society organizations to shape changes in policy in order to foster agroecological transition and food sovereignty. IDLO is an intergovernmental organization with a joint focus on the rule of law and development. Its aim is to secure dignified lives by creating a culture of justice. Towards this aims, IDLO empowers people and communities to claim their rights, and provides governments with the know-how to realize them. IDLO has been working since 2011 to advance discussions on the role of the rule of law for environmental sustainability – raising awareness about innovative new legal norms for sustainability and working hand-in-hand with national lawyers around the world to share legal breakthroughs. Our collaboration: SwedBio-IDLO’s collaborative partnership entitled “Advancing Legal Approaches for Biodiversity Mainstreaming”, has contributed to develop three legal assessment tools that provide targeted and effective policy advice for countries to work towards biodiversity mainstreaming. Two of these tools are being piloted in Kenya, with a view to defining concrete legislative and policy actions to take towards biodiversity mainstreaming. The tools have also been formally accepted by the Secretariat of the CBD as resource materials to be provided to Member Parties during the next COP. 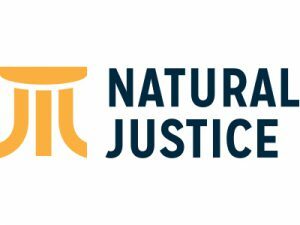 Natural Justice’s mission is “to facilitate the full and effective participation of Indigenous peoples and local communities in the development and implementation of laws and policies that relate to the conservation and customary uses of biodiversity and the protection of associated cultural heritage.” Towards these aims, Natural Justice has a diverse team composed by staff, associates, international advisors, partners and membership organizations, and interns and volunteers. As a non-profit organization registered in South Africa, they are committed to transparency and accountability in the various aspects of their work. Social Need Education and Human Awareness (SNEHA) was established in 1984 and is based in Nagapattinam, India. It works with issues of environmental justice, gender equity and child rights with the coastal communities. It is a core committee member in various national forums such as the National Fishworkers Forum (NFF), National Coastal Protection Campaign (NCPC). . SNEHA also has a history of working with regional networks and is a core committee member in the SDG WatchTN India, a new initiative of Civil Society Organisations. Our collaboration: The main output of SNEHA’s proposed project is to conduct a people’s tribunal of coastal communities and small-scale fisheries in South and South East Asia – a regional “Court of the Coasts”. At the Tribunal, case studies documenting fishing communities’ experiences with ‘Blue Growth’ will be presented. 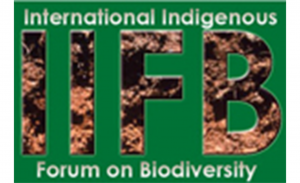 The International Indigenous Forum on Biodiversity (IIFB) is a global network of indigenous organizations that during the COP, SBSTTA and WG 8(j) and similar CBD meetings forms the indigenous Caucus in the CBD. It was formed already 1996, and have since then successfully created an inclusive platform where all indigenous peoples and local communities are welcome to discuss the issues on the agenda in the Caucus, formulating statements and connect to Parties for getting support for their voices. SOTZIL, or “Asociación Sotz´il – Centro para la Investigación y Planificasión del Desarollo Maya”, is thus the host organization and contarct holder of the IIFB project 2016 – 2017 with SwedBio. SOTZIL is a Mayan organization with the main objective of strengthening the development of the indigenous movements in Guatemala and beyond. SOTZIL is member of the Consejo Indígena de Centro América (CICA), and other Indigenous Latin American Network, and has been engaged in the International Indigenous Forum on Biodiversity (IIFB) and followed the CBD over various years. Our collaboration: The overall goal of the project is “To gain respect and recognitions of indigenous peoples’ rights with nature, their land and territories and the critical role this relationship play in the protection and conservation of ecosystems, species and genetic diversity”. The project will contribute to this in particular through coordinating and organizing the smooth participation of IPLCs and their organizations, through all regions, including the preparatory work, of the CBD COP13 and the intersessional meetings leading up to it, and follow it back to regional, national and local level, to ensure its implementation. Tebtebba is an indigenous peoples’ organization and a research, education, policy advocacy and resource center working with indigenous peoples in the Philippines and in a global context, often in facilitative and capacity-building roles. Tebtebba applies an “Integrated holistic approach for indigenous peoples’ sustainable, self-determined development” (IPSSDD). It integrates the human rights-based approach, ecosystem-based approach, a knowledge-based approach which puts primacy to indigenous peoples’ traditional knowledge but that is open to appropriate and relevant modern scientific knowledge, gender, sustainable economy, inter-generational and inter-culturality. Tebtebba has its base in the Philippines, and has a strong outreach through an extensive network over the world. Our collaboration: Tebtebba has been part of developing the concept of “Community Based Monitroing and Information Systems” (CBMIS) which is based on communities own tools for monitoring their territroies and resources, to the benefit of their governance and decision making. The monitoring can also provide input for monitoring on scales beyond the local. The ongoing project embraces and develop further the activities based on CBMIS and will continue to provide substantial contributions to methods development for bottom up monitoring of the Aichi targets of the CBD, as well as to the IPBES and SDGs. The overall objective is “to enable indigenous communities to assert their rights to lands and territories and manage resources towards attaining food security while strengthening community resilience”. Whereas piloting is done by partners in the Philippines, outreach and upscaling will contribute to the Indigenous Peoples’ Global Partnership on Climate Change, Forests and Sustainable Development, organized by Tebtebba and composed of 18 Indigenous organizations in 13 countries in Tropical and Sub-tropical regions. The United Nations Development Programme (UNDP) is a key player in helping to achieve the eradication of poverty, and the reduction of inequalities and exclusion in the network of the UN system. UNDP helps countries to develop policies, leadership skills, partnering abilities, institutional capabilities and build resilience in order to sustain development results. It has a presence on the ground in nearly 170 countries and territories across the globe. In addition, UNDP also hosts the coordination function of UN activities at country level through the Resident Coordinator who is also the UNDP Resident Representative. Our collaboration: The overall aim of the collaboration between SwedBio and UNDP is to strengthen the outreach and operations of the Biodiversity and Ecosystems Services Network (BES-Net) in countries in developing countries Africa, Asia, Latin America and Eastern Europe to assist in integrating thematic issues of biodiversity and ecosystems management into national poverty alleviation and development programmes, to support the policy uptake and use of the IPBES assessments and the participation of Indigenous and Local Knowledge (ILK) holders in policy dialogues. WCS has more than two decades of experience working in both Myanmar and Indonesia. The WCS Myanmar program began in 1993, when WCS was the first international organization to initiate a long-term conservation program in the country. Activities are implemented in close cooperation with government agencies, through MOUs with the Forest Department and the Department of Fisheries. A new marine program was established a few years ago and includes work on marine spatial planning and Marine Protected Areas (MPA), sustainable fisheries, species conservation, and environmental safeguards. The WCS Indonesia marine program started in 2002 and has been working with government and community partners to develop networks of well-managed marine protected areas and sustainable fisheries. Our collaboration: The project aims at accelerating sustainable coastal livelihoods in Indonesia and Myanmar. These countries represent the world’s third and ninth largest fishing countries, with approximately 3 million fishers and 150 million coastal people depending on marine resources. The projects overall aim is to make coastal livelihoods in Myanmar and Indonesia more sustainable and resilient by applying new knowledge, tools, and skills. Three main outcomes that will contribute to this overall objective are foreseen: (1) improving sustainable coastal livelihoods, (2) enhancing regional collaboration, and (3) sharing and replicating results. WorldFish is an international, non-profit research organization that harnesses the potential of fisheries and aquaculture to reduce hunger and poverty. In the developing world, more than one billion poor people obtain most of their animal protein from fish and 250 million depend on fishing and aquaculture for their livelihoods. They aim to reduce poverty and hunger by improving fisheries and aquaculture in areas of Africa, Asia and the Pacific where there are high levels of food insecurity. Watch this video on the WorldFish-SwedBio project in the Pacifics. 2) to refine and develop policy and methodology for wide adoption and impact in poor and developing countries. Wan Smolbag Theatre is an NGO based out of Vanuatu, in Port Villa, but operate in the whole of Vanuatu, the South Pacific and beyond. It was founded by a woman and her husband; Jo Dorras and Peter Walker trained in community theatre. Through performances, staff and volunteers work to create awareness of challenging issues, promote community action, and provide training and materials to schools, communities, and government departments. Our collaboration: The overall project aims to support and improve the spread of knowledge and information on sustainable coastal fisheries management in Vanuatu, through a creative, interactive theatre platform that communicates the importance of fish for people and the role that coastal communities can and must play in managing resources.